It may seem silly to pit Marvel movies and DC movies against each other, since they’re all comic book movies and the audience for one tends to be the exact same audience for the other, but we live in a world where everyone has to pick sides on everything—whether it’s politics, video game consoles, or comic book movies. According to Aquaman and Shazam! producer Peter Safran, though, it doesn’t have to be that way. Apparently, he believes that we could someday live in a world of perfect comic book movie harmony, where nobody feels the need to viciously attack anyone on social media for saying something negative about, say, Zack Snyder’s awful Justice League or David Ayer’s awful Suicide Squad (in the interest of fairness, Joss Whedon’s Avengers: Age Of Ultron was also not very good). 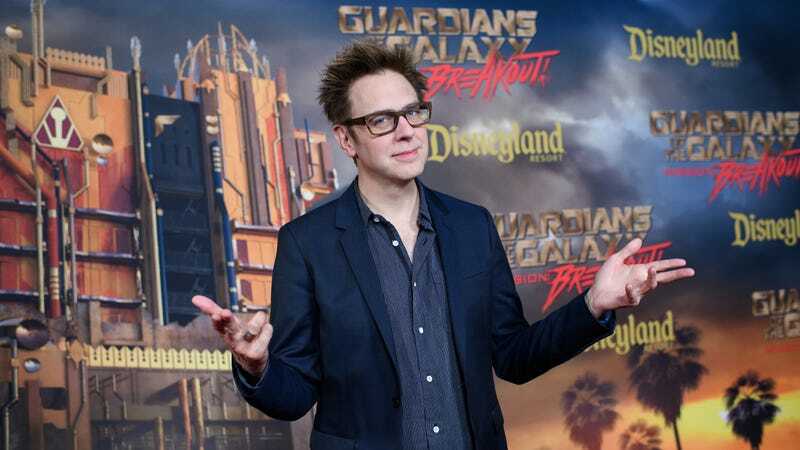 “[Gunn] has always espoused the view that that which unites comic book and superhero lovers is much greater than that which divides us,” Safran told JoBlo, adding that “there’s room for everybody” and that the world will hopefully recognize that “you can be both a Marvel and a DC fan and the world won’t spin off its axis.” That’s some unbridled positivity, and it suggests that Safran either doesn’t have a Twitter account or he doesn’t check his replies very often, but it’s certainly a nice sentiment. Who knows, maybe if this whole unity thing takes off, we could get cinematic Amalgam Universe once both Marvel and DC both run out of gas. Then we can start arguing about who should play iconic heroes like Dark Claw, Super-Soldier, and Doctor Strangefate instead of fighting over which movie is better.